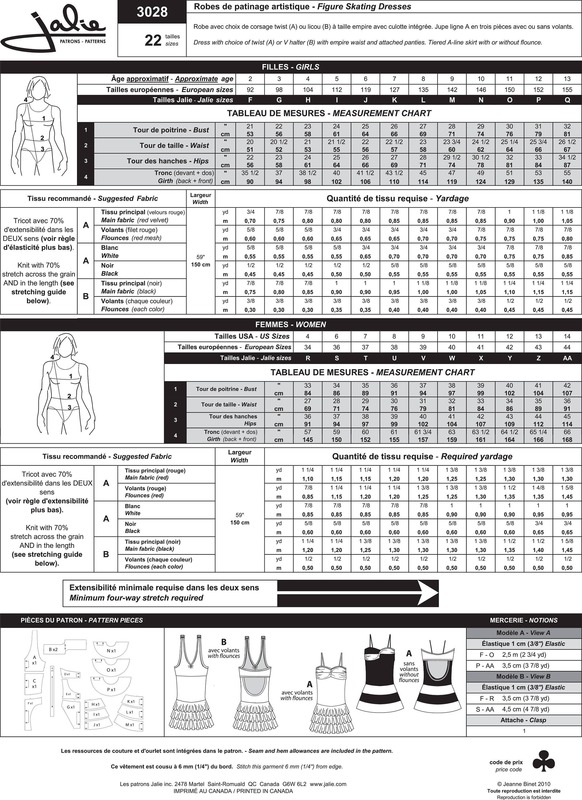 Package includes patterns and instructions to make dress with choice of twist (View A) or V-Halter (View B) with empire waist and attached painties. Tiered A-line skirt with or without flounce. Great for Figure Skating and Competition Dance routines!